Bringing innovation and distinctive design together, LG's new refrigerator with InstaView Door-in-Door will enhance even the most beautifully crafted kitchen. The sleek tinted glass panel illuminates with 2 quick knocks, allowing you to see inside without ever opening the door, reducing cold air loss to help keep food fresher longer. Paired with the stylish, fingerprint and smudge resistant Black Stainless Steel finish, your kitchen will be the perfect place for entertaining and showcasing your impeccable style. 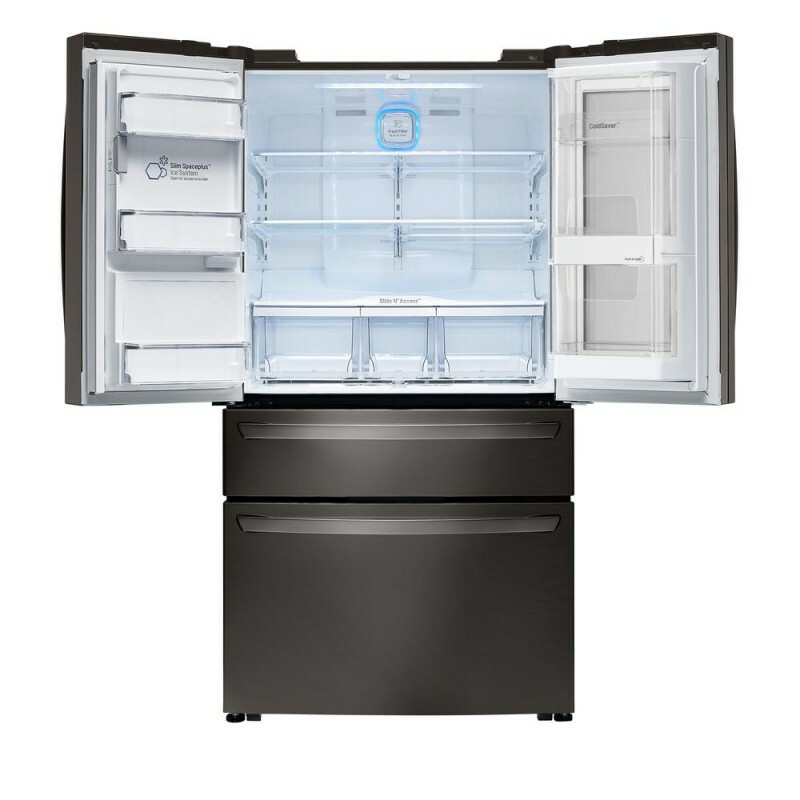 Great Great, best frig ever! Kids love middle drawer. I got a great deal at the Bestbuy outlet. 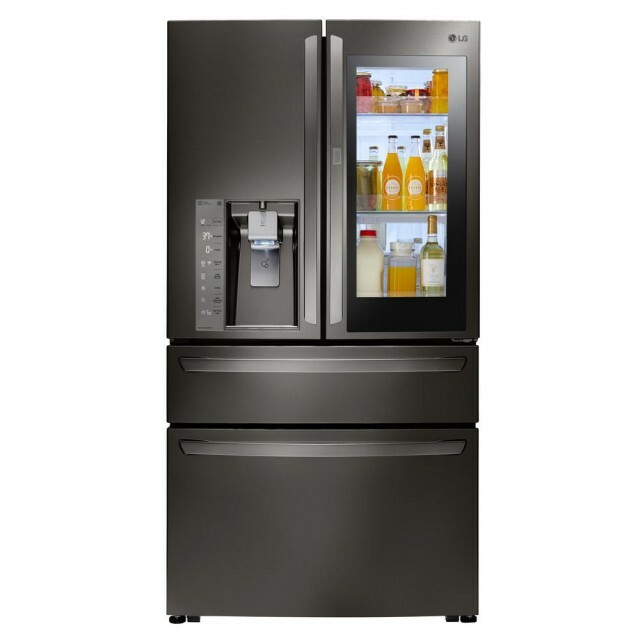 Great Product This is a great refrigerator. It looks great and performs well. The "knock to see" window is a nice feature to save energy. 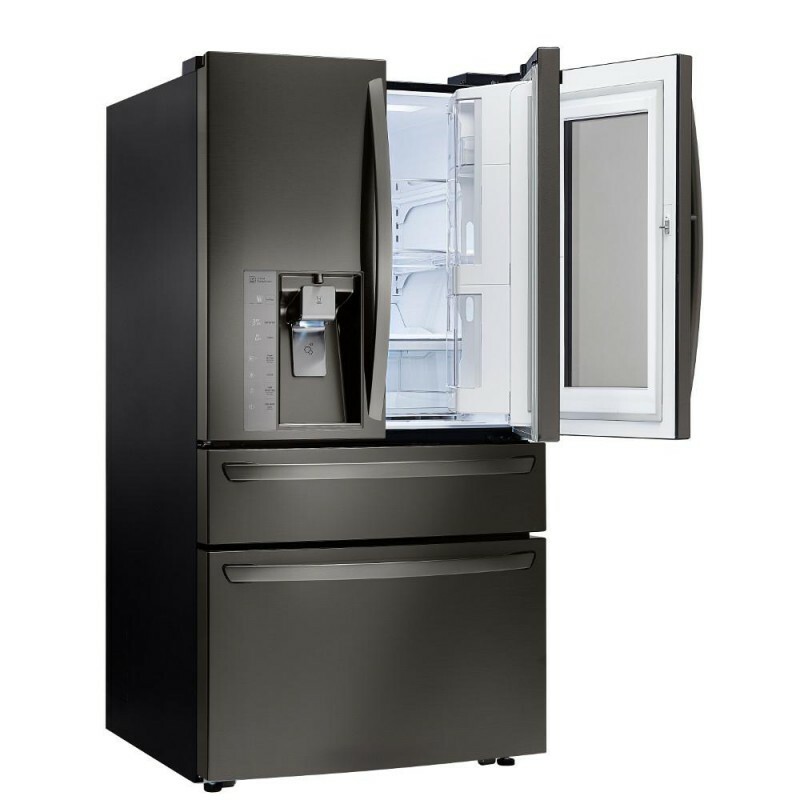 The ice maker works perfectly which is why i replaced my Samsung. Very happy so far. LG Fridge This is my first experience with LG Refrigerators, I own a LG Washer & Dryer with no problems so I hope the luck continues. Beautiful refrigerator in our kitchen...practical. The refrigerator truly enhances the entire kitchen. The stainless steel is shiny and the black door matches the glass on my double oven and microwave. I love having the door that allows me to reach items that I use frequently. I am very happy with this refrigerator in my home.